To me, one of the most enjoyable company events is being a judge for the Digilent Design Contest US each year. I get to meet the talented students who are involved and play around the innovative applications powered by Digilent hardware. 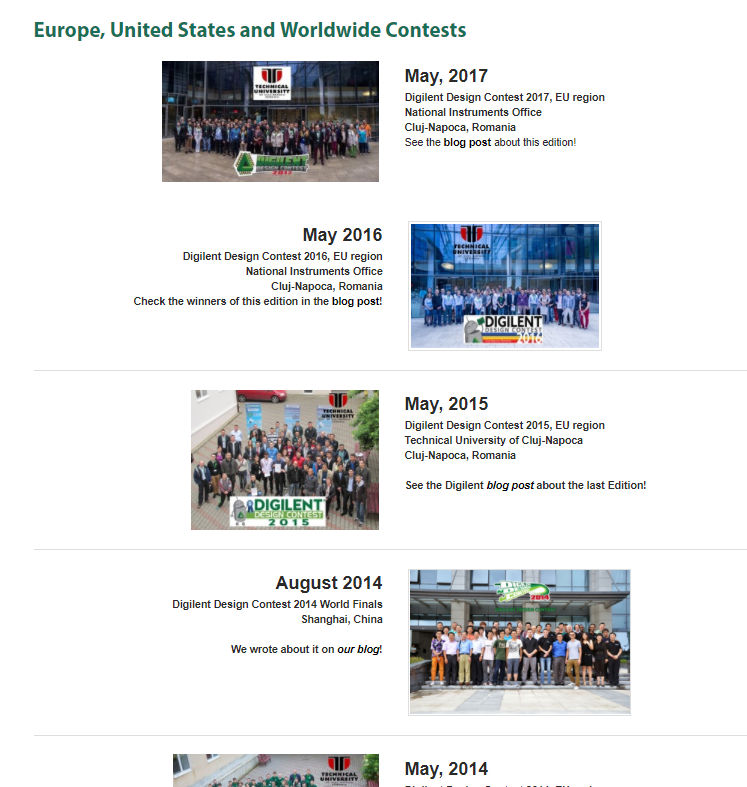 As Digilent boards are used worldwide, the Digilent Design Contest is also held worldwide in Europe, Japan, and China. 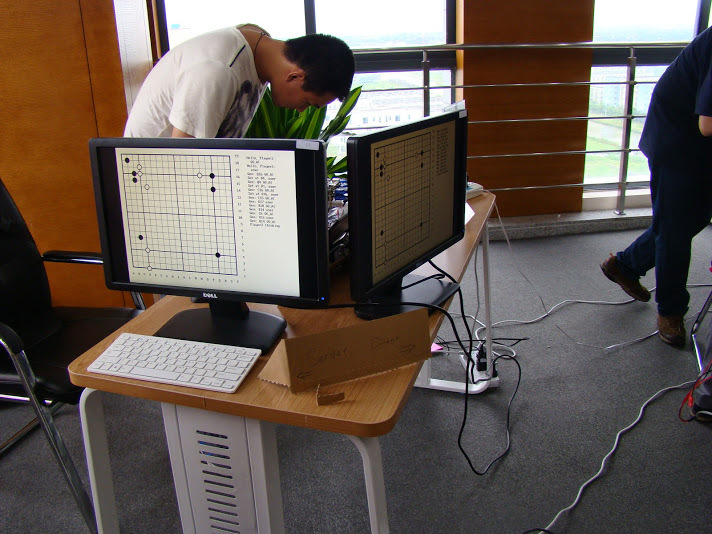 Every two years, Digilent will bring top teams from each region to compete for the world championship. 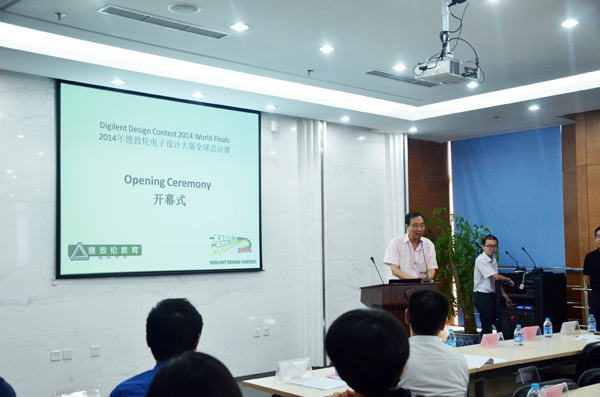 This year, the worldwide finals were held at the Digilent China Training Center in Shanghai, as I mentioned in the brief introduction to my other post, Digilent Design Contest Worldwide Finals Are Coming. 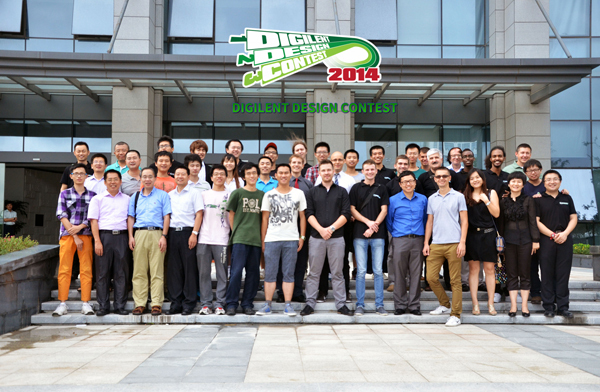 Digilent Design Contest Worldwide Finals group picture. 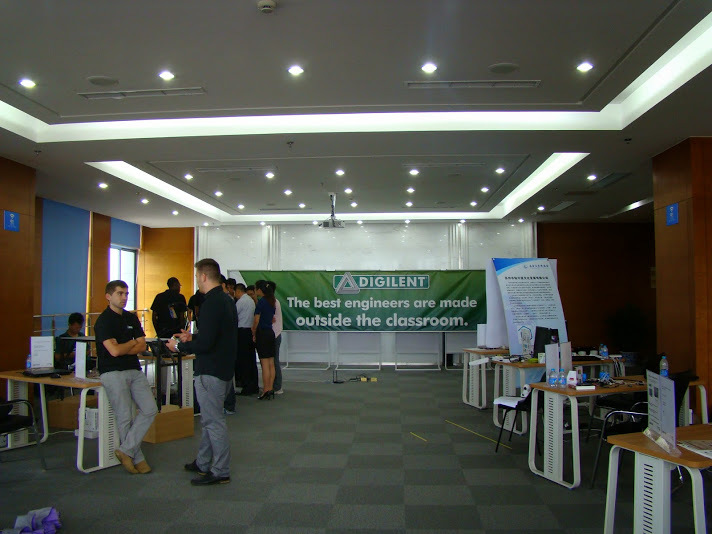 The Digilent Design Contest demo area. I was invited to be an honorary judge for the contest. Representatives from across the industry and country were invited as judges for the projects, including Digilent Romania lead engineer – Mr. Elod Gyrogy, Digilent China applications engineering manager – Mr. Cong He, Mr. Joshua Lu from Xilinx University Program China, Dr. Dai from China Academic of Science , Mr. Tao Yu from Microchip China, and professors from Sun-Yat-Sen University. Opening speech by Dr. Tai from China Academy of Science. 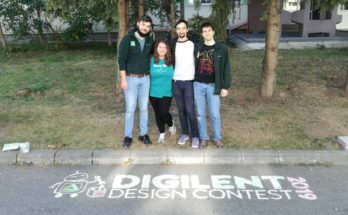 I introduced the Digilent Design Contest. 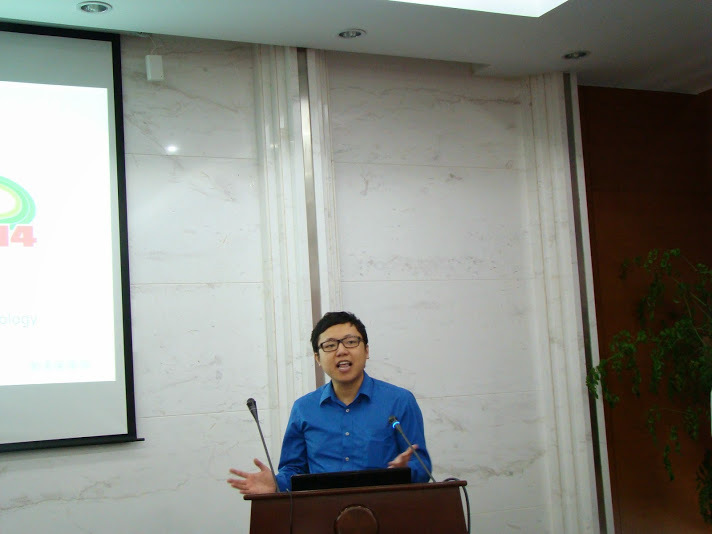 Mr. Joshua Lu from Xilinx University Program China made the closing speech for the Design Contest. 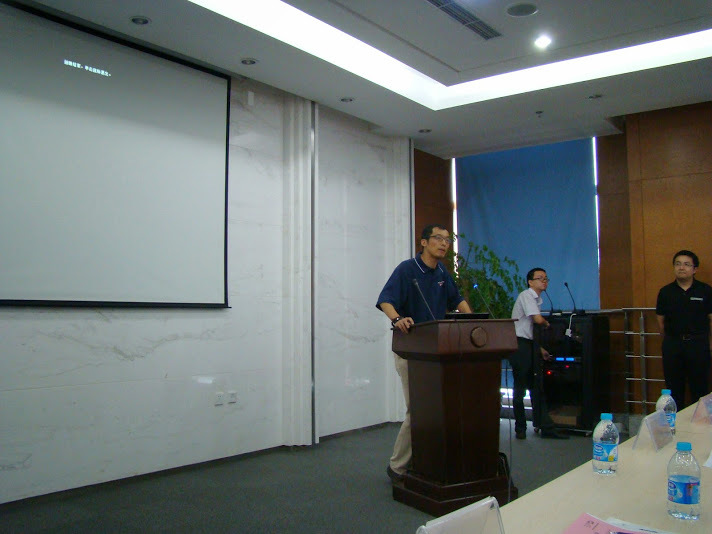 Mr. Tao Yu from Microchip China gave a speech. 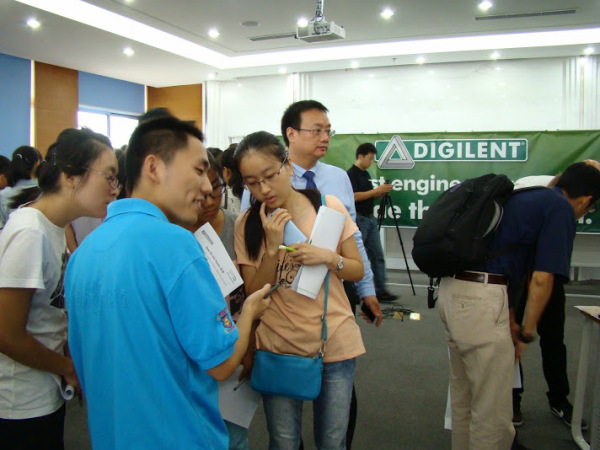 Six of the teams from China were also contestants in Xilinx Open HW, and Digilent sponsored the top three teams from Digilent Design Contest EU, the top two teams from Digilent Design Contest US, and the winning team from Digilent Design Contest Japan. I was floored by these original and inventive projects powered by Digilent FPGAs, chipKITs, and Pmods. Students used Digilent boards to make innovative technology from different areas, including agriculture, health and safety, manufacturing, augmented systems, and so on. It was really difficult for me and other judges to decide on the best of the best projects! The audience went around the demo area to check out each student project. 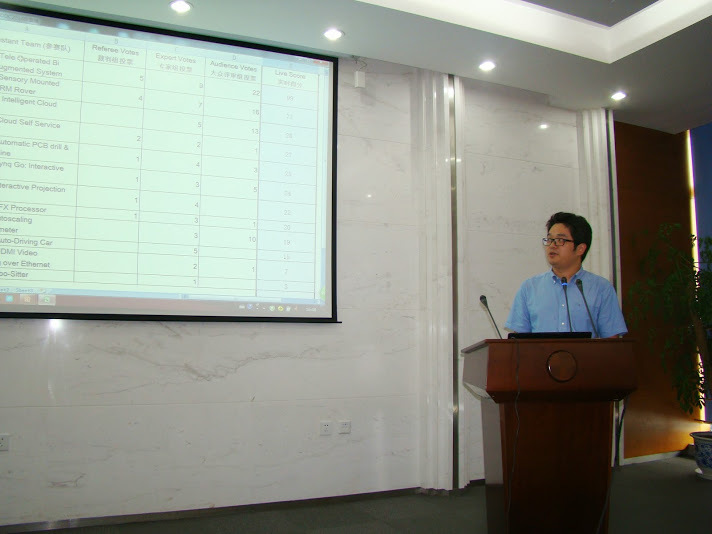 Dr. Tai from China Academy of Science evaluating the student projects. 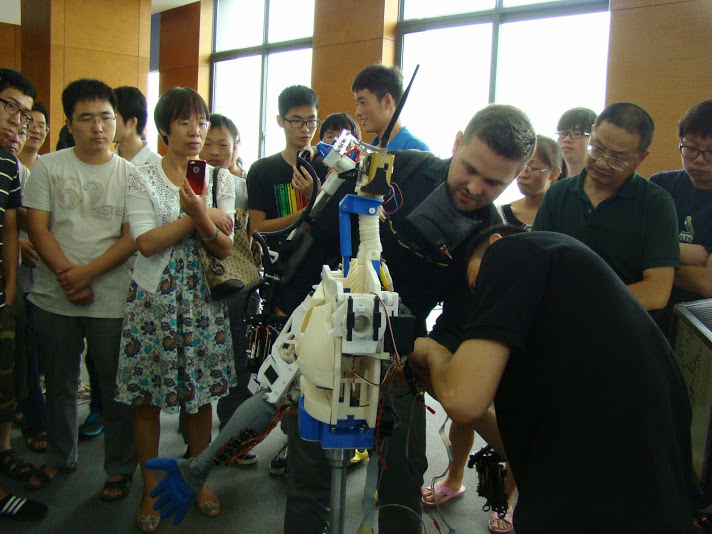 The first prize went to the tele-operated bi-manual augmented system, a chipKIT-based humanoid robot. 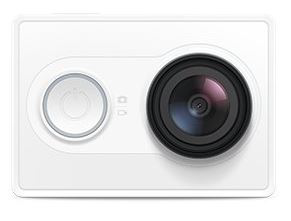 It was developed by Eugene Babkin, Bijan Bayat Mokhtari, and Angjelo Kuka of the New York City College of Technology. It was also the winning project I introduced in the Digilent Design Contest US Recap. The winning project, TOBIAS, is the most popular project in the demo area. 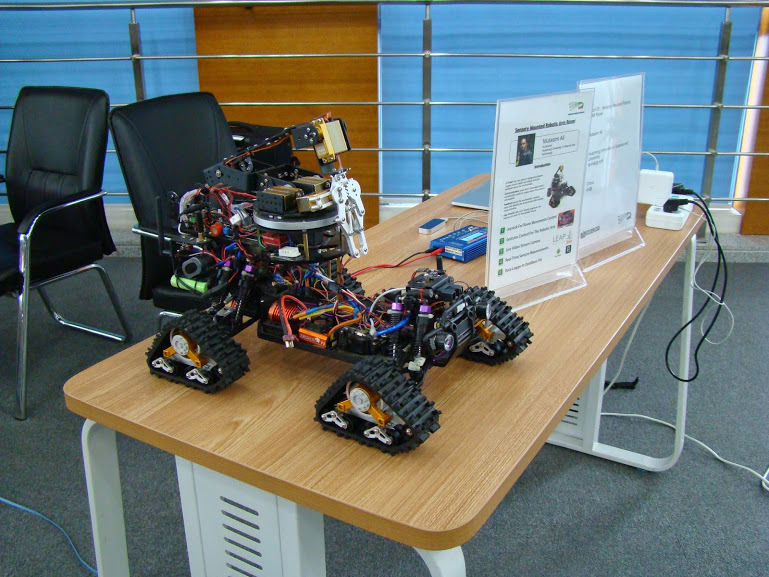 The second prize went to the sensory mounted robotic ARM rover, a chipKIT-based Wi-Fi Rover that can run and provide feedback in a rugged and rough environment. It was developed by students from the Huazhong University of Science and Technology, China. Sensory mounted robotic ARM rover. Audience taking pictures of the project. 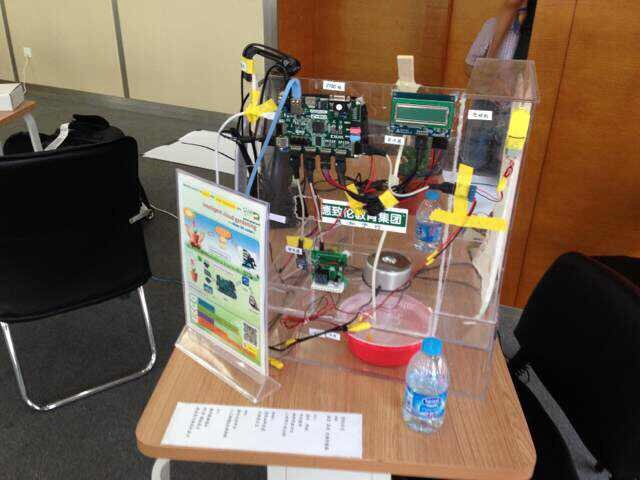 The third prize went to the intelligent Cloud gardening project, an FPGA-based weather station for gardening. The ZYBO, powered by Xilinx Zynq All-Programmable SoC, gathers and analyzes the data from the connected sensors and then sends the data to any Cloud service to monitor the plants in the garden. 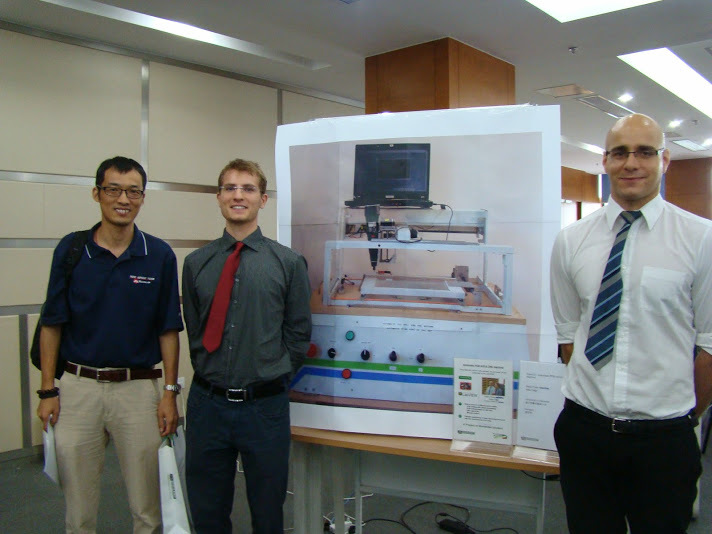 It was developed by a student at Huazhong University of Science and Technology, China. 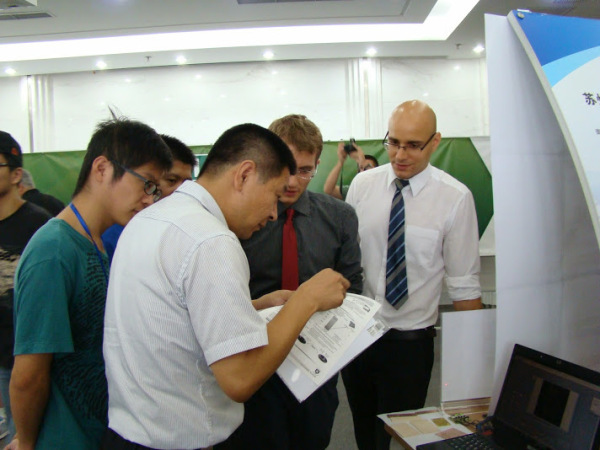 I also found some interesting projects like Zynq Go – a Xilinx Zynq All-Programmable SoC powered interactive platform for GO players and developed by students of Zhe Jiang University, and an automatic PCB drill & CNC (computer numeric control) machine – a chipKIT-based and National Instruments LabVIEW controlled CNC drill and mill developed by students of University of Debrecen, Hungary. Automatic PCB drill and CNC machine. You can find all the pictures from the contest at my Google+ album and a blog post in Chinese at Digilent China. Since the contest, I have received various testimonials from contestants. These two are my favorite — “We enjoyed the whole trip and contest, we saw a lot of interesting places and people. It [the contest]was good practice for us and also unforgettable experience. ” Another group said, “we had a great time the entire trip, the contest was well organized, and the trip was great. We are proud that we had the chance to participate in such a competition with very competent teams and we hope that other students will have the chance to perfect themselves in such competitions.” I am so thankful to be part of the organizing committee and judges of the Design Contest! I hope I have this chance next year. Previous Article How Do We Use Instructables and the Blog? Next Article Simon Says… with LEDs!